Take a trip back to the Blue Bomber's roots on Nintendo's new handheld. Nintendo and Mega Man have a special relationship; The original NES console played host to the titles that made the Blue Bomber a household name. Nintendo's eShop has already offered 3DS owners in Europe and Japan the chance to relive the golden days of Mega Man, and now North America will get the same treatment. Mega Man 1 through 6 will appear on digital storefront in a series of releases beginning on December 27. As you might expect, the first game that Capcom will add to the NA eShop is the debut Mega Man title. 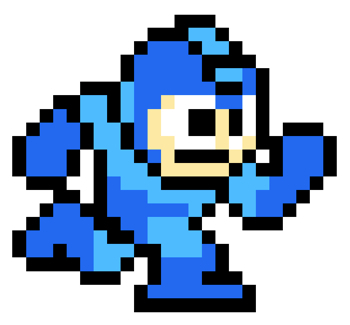 Mega Man 2 will follow on February 7, 2013, and the rest of the entries in the classic series will be released throughout the remainder of next year. Of course, the Mega Man legacy extends far beyond the final NES release, with Mega Man 7 appearing for the Super NES, and Mega Man 8 dropping for the PlayStation and Saturn consoles in the late 90s. Mega Man 9 and 10 brought the franchise back to its 8-bit roots with throwback graphics and audio. The 3DS should be able to handle the full 2D Mega Man catalog, but it looks like we'll have to settle for the first six titles to start with. No official pricing has yet been revealed.